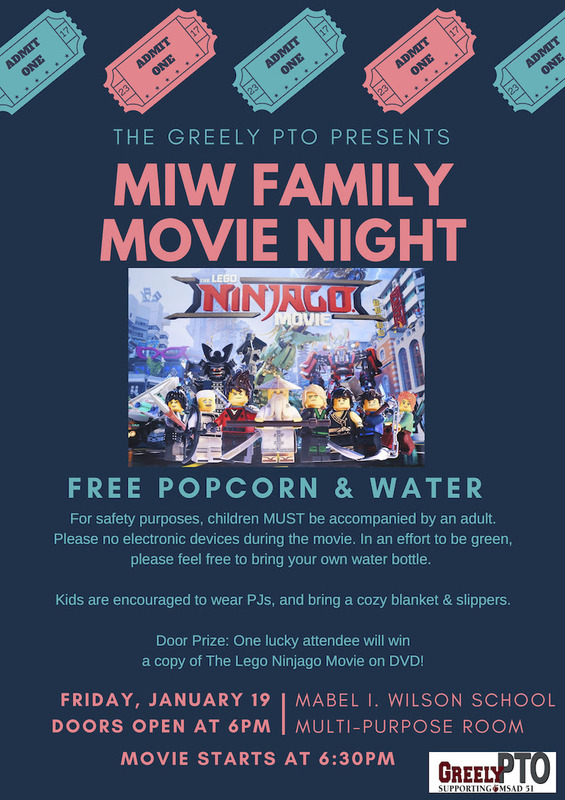 Greely PTO's MIW Family Movie Night THIS Friday! And we're still looking for a few more parent volunteers to help us make the event a success! If you're planning on attending, thanks for considering signing up for a shift.